Picture this: You are driving down a rural road and you see a person taking something from a tractor parked in the field. You know it is not the owner of that tractor because he is your neighbor. What would you do? Someone pulls into your yard and is driving around by your shop, you go over to them and they say they are lost and looking for directions. What would you do? You find a pile of buckets and bottles in the ditch, could they be the discarded waste from a meth lab? What would you do? As a member of a Rural Crime Watch Association, you are part of a group that is dedicated to cutting down on crime in rural areas. Welcome to the official site of the Drumheller Rural Crime Watch Association. Crime happens everywhere. In a rural area, where there are fewer people to see what is going on, it is essential to have as many eyes and ears out there to observe suspicious activities and report them to the RCMP. Being part of an organization like Rural Crime Watch enables a person to keep up with what is happening in their community. The purpose of the Rural Crime Watch program is to improve awareness of the potential for crime and promote crime prevention through communication of information on observing crime and using methods to foil perpetrators. Rural Crime Watch is not a law enforcement organization, nor does it encourage confrontation of offenders or vigilantism. Instead, the purpose is to observe and make note of information that can be passed on to the RCMP which can be helpful in the investigation of criminal activity and help lead to arrests and charges being laid. Drumheller Rural Crime Watch started out as many small, local groups with the intent to deter crime and to contact neighbors in emergencies through a telephone fan out system. In 1986, the group decided to amalgamate into one larger area for effectiveness and efficiency. On January 23, 1987, we were registered as a society with Alberta Consumer and Corporate Affairs. Members joined with a $25 lifetime membership. An automated phone tree system was later bought and used to contact members about local events and emergencies, like meetings, prison escapes and robberies. The phone tree was shared with Citizens on Patrol until 2014 when we partnered with Starland County and purchased a new phone tree system. It is a call out system that notifies members by phone, text and email of any criminal activity that the RCMP wish to notify them about. It is also used to let them know about upcoming meetings and other events. On January 20, 2015, Drumheller Rural Crime Watch achieved their Charitable Organization designation. We can now issue charitable receipts for donations received. Donations have been received from Cenovus, EnCana and Conoco Philips, which were used toward the new Phone Tree system and our road sign placement program. 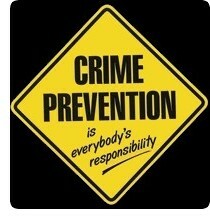 Our goal is to promote crime prevention in our area. In order to do that, we need to have a large membership base covering the whole area. Our region includes parts of several Counties, Starland, Wheatland, Kneehill, Stettler, Newell and Special Areas as well as the area covered by the Town of Drumheller. Many of the current farmers and acreage owners have not had the opportunity to join our Association. They have probably been aware of the Crime Watch road signs but have not been informed about how to be part of the organization. We want to reach out to those who may be interested in becoming members. Become a member of the Drumheller Rural Crime Watch Association today! Membership is only $20 a year. When you sign up, you will receive a gate sign and other materials. You will also be placed on the Phone Tree list to be alerted to any suspicious activity in your area as well as getting notices as to meeting dates. We had a successful BBQ at the Spring Expo in Drumheller in April. We are hoping to have another one next year. Our next meeting will be held on September 19, 2018 at the Badlands Facility in Drumheller. The meeting will start at 7 pm. Hope to see you there!